71% of the time helmets are effective in preventing brain injury and death. Helmets On Heads is a nonprofit that focuses on raising awareness about the importance of helmet safety, regardless of trip type or length, while giving helmets of all types away to those who can not afford them. 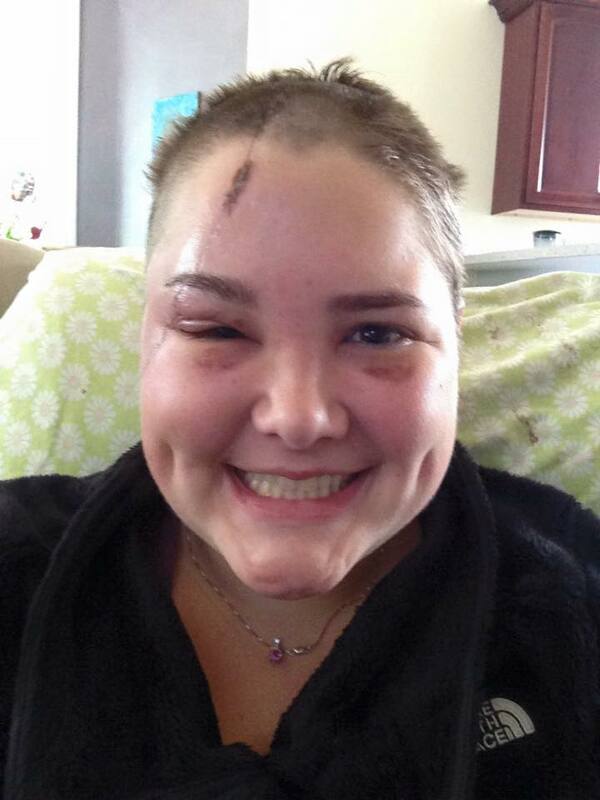 Teagen Tanner founded Helmets On Heads after she was in a very severe ATV accident in Homer, Alaska. She was riding as a passenger at a very low speed, going on a very short ride on uneven terrain when the ATV rolled. She almost lost her life because she was not wearing a helmet. She now has many scars on her head and face and a brain injury. Teagen started helmets on heads in 2015 only 1 month after her accident so that she could keep people safe and help them avoid what she went through. Please help turn this negative into a positive by making a donation! Teagen 15 days after her accident. We cannot keep everyone safe but we sure do try! Every donation goes toward getting another helmet on another head to prevent brain injury and death. Sign up to receive updates and event dates!